You MUST be insured in order to use Calmology with others. The annual premium to be insured as a Calmologist with Holistic Insurance Services is £53,25/yr (discounted from £63.90/yr). This insurance policy is for Calmologist’s who operate within the UK - under UK law. If you do not live in the UK, you will need to contact them to find out if they will cover your country or check with your current insurance provider and ask them. If they need anything from us in order to recognise your Calmologist qualification, then contact us. PLEASE NOTE: Holistic Insurance Services require you to keep your consultation case notes for a minimum of 5 years. You also need to be able to prove that you have done an initial consultation/screening to check that Calmology is appropriate for the client. For example, Sandy has booking forms for all of his mentoring and events on this website, which require clients to provide background info about their current mental/physical state. Scroll down for more on our recommended Code of Conduct. It is recommended that you have everyone you work with agree to a Disclaimer before working with them. Personally, I have my disclaimer stated on my website and 'customers' have to agree to it before submitting any booking form. I use booking forms for every single service I offer to ensure everyone has agreed to the disclaimer. Meaning, even if I have spoken to someone about working with them, I still ask them to complete a booking form to ensure that they agree to the disclaimer. IT IS RECOMMENDED YOU SEEK ADVICE FROM YOUR OWN LAWYER BEFORE USING THE SAMPLE DISCLAIMER PROVIDED BELOW. I understand that using any advice or technique shared by SANDY C. NEWBIGGING is completely voluntary, under my own free will and at my own risk. I also understand that no assurance guaranteeing my safety is being made and I agree to hold SANDY NEWBIGGING, SUTRATMAN LTD, MINDBODYCO LTD, MIND DETOX ACADEMY, CALM ACADEMY, the sponsors, facilitators, organisers and property owners completely harmless of all liability if I sustain any injury (except for any injury which is caused by SANDY NEWBIGGING’s negligence or fraud or the negligence or fraud of any other party listed above). By agreeing to this waiver, I agree to assume full responsibility for any injury or injuries, physical, emotional and mental, that I may sustain when using MDM, MCM or AM which is not caused by SANDY NEWBIGGING’s negligence or fraud (or the negligence or fraud of any other party listed above). I also understand that SANDY NEWBIGGING shall not be liable to me, whether in contract, tort (including negligence), breach of statutory duty, or otherwise, for any loss of profit, or for any indirect or consequential loss sustained by me or any third party arising under, or in connection with, me practising Calmology or Ascension Meditation. However, nothing in this Disclaimer shall limit or exclude SANDY NEWBIGGING’s liability for death or personal injury caused by its negligence, or the negligence of its employees, agents or subcontractors or for fraud or fraudulent misrepresentation. The General Data Protection Regulation (GDPR) is the new European regulation on personal data protection. The goal of this legislation is to help align existing data protection protocols while increasing the levels of protection for individuals. It came into legal effect from May 25th, 2018. Put simply, GDPR is a regulation that you’ll want to take seriously. Below you will find a summary of how to be GDPR compliant, along with an example of the GDPR info that Sandy uses on his websites. If you are going to use the example, please read carefully and insert the appropriate information where required. Even if you do not live or operate within the EU, we recommend you adhere to these standards as ‘best practice’. IT IS RECOMMENDED YOU SEEK ADVICE FROM YOUR OWN LAWYER BEFORE USING THE EXAMPLE GDPR PROVIDED BELOW. Your privacy is extremely important to [insert your name]. This privacy statement provides information about the personal information that we collect, and the ways in which [insert your name] uses that personal information. [Insert your name] implements a variety of security measures to maintain the safety of your personal information. Our email mailing list is held inside [insert your mailing list provider name]. If a form is submitted then a copy of the form is held within [insert your name] email system so that we can contact you about your order. Only [insert your name] and [insert anyone else with access] have access to any information provided and everything is password protected. No. Never. [Insert your name] does not sell, trade, or otherwise transfer to outside parties your personally identifiable information. This does not include trusted third parties who assist us in operating our website, conducting our business, or servicing you, as long as those parties agree to keep this information confidential. We may also release your information when we believe release is appropriate to comply with the law, enforce our site policies, or protect ours or others' rights, property or safety. We adhere to the same guidelines as set out by the Federation of Holistic Therapists. 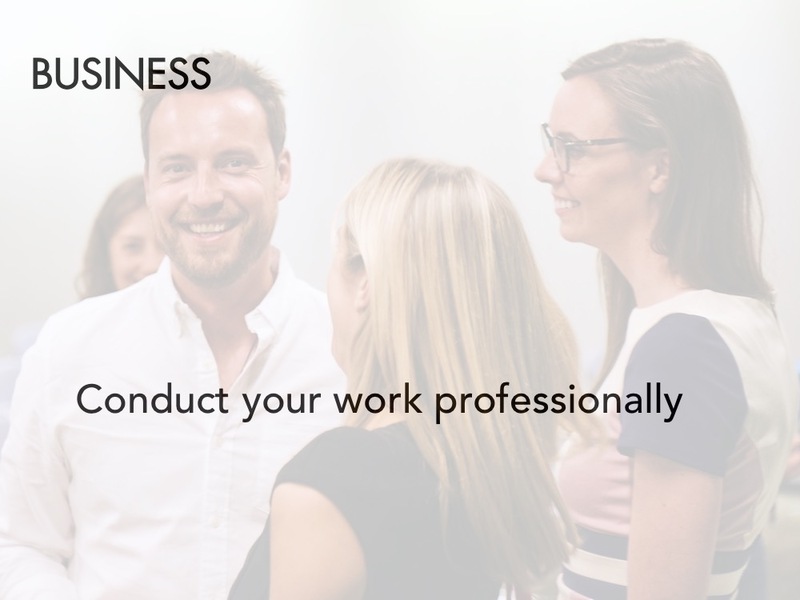 This Code of Conduct is intended for use by all graduates of the Calm Academy and is a guide to excellence in professional conduct and practice. This Code of Conduct seeks to set out the ‘best practice’ standards expected from a Calmologist - to ensure you are operating professionally, legally and ethically. Maintain and develop their knowledge and skills. We have negotiated on your behalf so that you can enjoy generous discounts when purchasing Sandy's books and albums. Published by Hay House and distributed by GBS. As a Calmologist you are entitled to a 45% discount if you set up a Trade Account with GBS. There is no minimum order number, however we recommend a minimum of 20 copies to make it worthwhile. To set up your account contact George Papakyriacou either by email - GeorgePapakyriacou@hayhouse.co.uk - or telephone - +44 (0)203 675 2475. He will then forward you the trade account form and terms and conditions and you will need to post or email them back to him along with a photograph or photocopy of your Mind Calm or Body Calm certificate. Once he receives this information he will ask GBS to set up your Trade Account, and also email you with information about how you can place orders. We have negotiated a 40% discount on copies of Mind Detox on orders of 10 copies of more. Shipping is free in the UK. Shipping outside the UK is charged depending on the country rate. Payment is required before despatch. They take Visa and Mastercard or payment direct into their bank account. If paying into their bank account ALL charges must be paid. To order books email Alan Ritchie - alan@deep-books.co.uk and he will sort out everything for you. Buy a stock of product to sell at any Introductory Talks, Mind Body Spirit Festivals, Personal Development Groups or Conferences. If you sell them after your talk or from your table at festivals/groups/conferences then you can help to pay off the price you paid to attend the festival or conference. It also gives people an opportunity to read more after your talk to help them decide to attend one of your courses or engage in a coaching relationship with you. Buy a stock of product to give away as an incentive or bonus if people attend a course or buy a coaching package. As the price per book will be £6.04 it is a small investment to make to encourage people to work with you. If you adopt this strategy, then you would include something on your website or in other marketing materials like - 'Free copy of the no.1 best-selling Mind Calm book with every booking!' or 'Free copy of the no.1 best-selling Mind Calm Meditations album with every booking!'. The same goes for Body Calm products too. Buy a stock of product and approach holistic centres, yoga centres, Mind Body Spirit stores and/or independent bookstores. You can 'sell' them at cost price to these places so that the above places can make 45% profit per product or you may wish to split the profit so you make both make some money per product sale. It is a good idea to place a flyer or business card in each product so the people who buy them know they can attend a course or experience coaching with you. If you are selling albums, you might want to get stickers made via a company like VistaPrint to stick on the back of the album. This can be a great marketing tool. Buy a stock of product and offer to do an introductory talk at one of the above mentioned places. Offer to do the talk for free and give all profits made from the books to the venue to encourage them to promote it. Remember, you are going to make your money, not from the products, but from people coming on your courses or having coaching with you. We hope you take advantage of these product discounts. Use these products in the same way as if you had created them yourself and get out there to share them with as many people as possible.